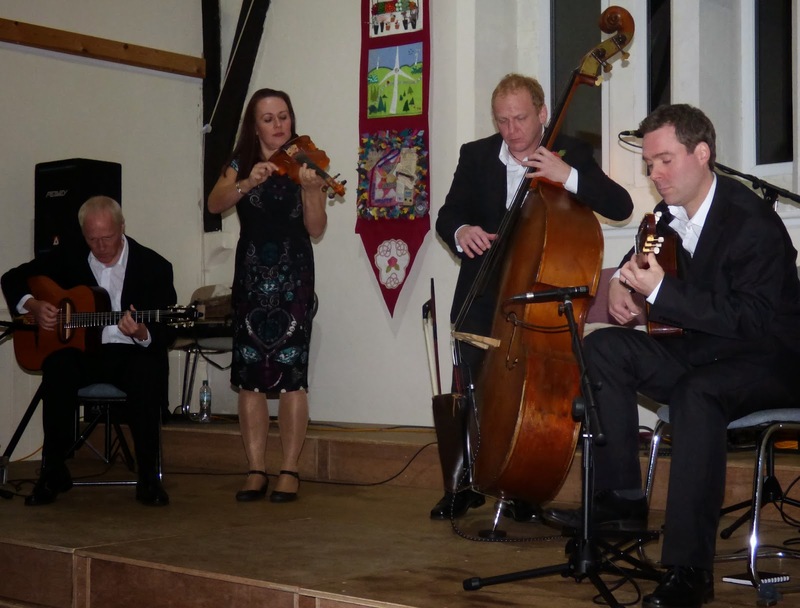 bebop spoken here: Hot Club du Blaydon on Sunday. The pure acoustic gypsy jazz as epitomised by the incredible Django Reinhardt and Stephane Grappelli is riding a wave of popularity just now. Played well, the music has great charm, irresistible rhythm and delightful improvisations. This highly acclaimed and hugely popular band, in the classic violin/two guitar/bass format, have a national profile. It features Emma Fisk vln, James Birkett gtr, Giles Strong gtr and leader Mick Shoulder bass. (Photo by Jerry Edis).